Did the UAW pull the old 'Higher Power' gambit on FCA? 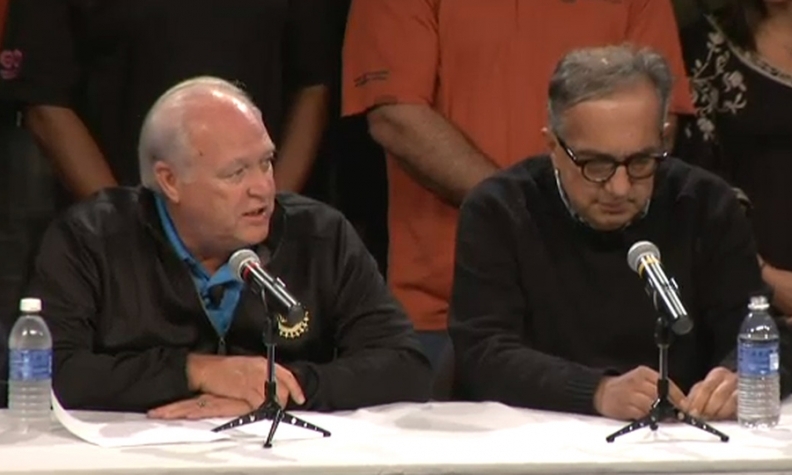 UAW President Dennis Williams and FCA CEO Sergio Marchionne announced the original contract deal in an unusual joint press conference. In the traditional car dealership, it’s the role of the sales manager to close the deal, to serve as the boss and get the best deal in the negotiation. But UAW President Dennis Williams looks as though he used the old “Higher Power” gambit to get a much better deal for his 40,000 members at Fiat Chrysler than he got at the bargaining table in his first go-around last month. In Williams’ case, his “Higher Power” was the membership that rejected his first tentative agreement with FCA by a 2-to-1 margin. To an outside observer, it might have looked like a stunning rebuke of the UAW leadership. But in reality, that rebuke -- which emboldened and mobilized his membership and drew their laserlike attention on the contract talks and a threatened strike -- helped Williams’ hand at the bargaining table. Did they get a better deal? It sure looks like it on paper. Of course, the UAW membership will get the last say as they vote on ratification. The only real question to me is whether the successful “Higher Power” gambit Williams played was an intentional strategy -- or an accidental byproduct.